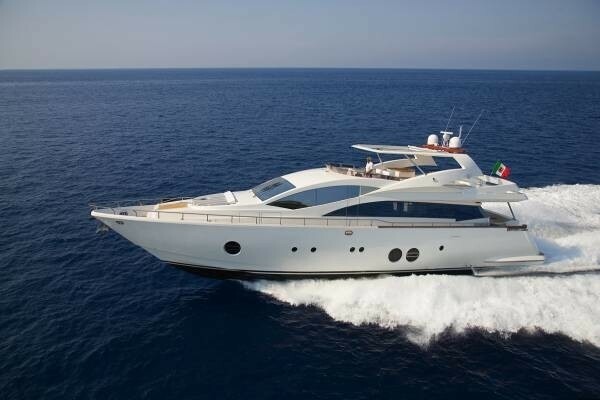 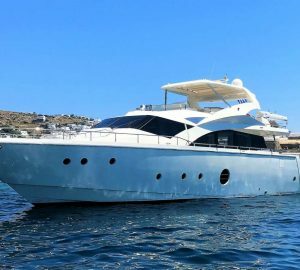 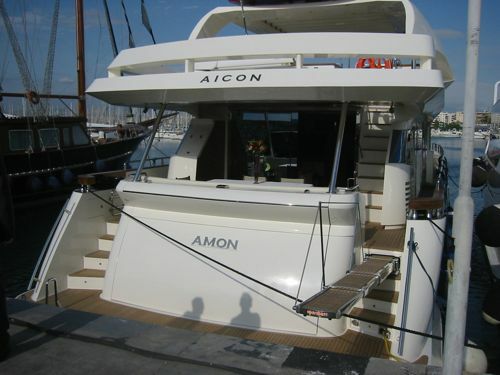 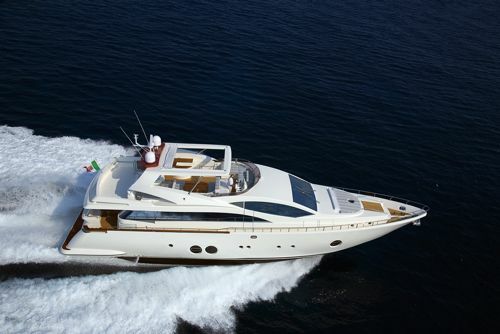 AMON was designed and launched by well-known Aicon yachts in 2007 and measures 27,4m (90ft) offering accommodation for 12 guests in 5 cabins. 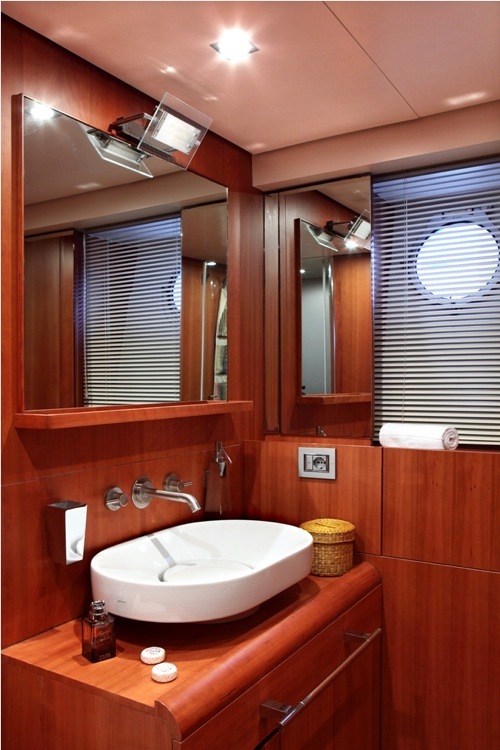 AMON features a stylish interior, boasting classic neutral tones, with subtle hints of vibrant colour, creating a warm welcoming ambiance. 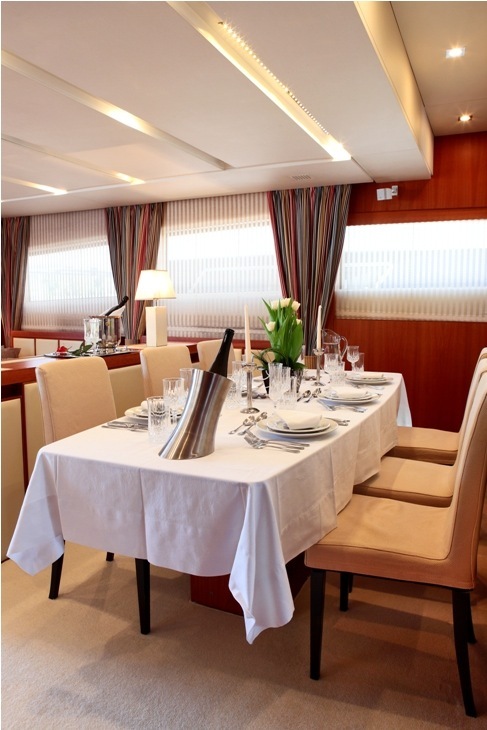 The salon and dining are an open plan with the lounge aft and formal dining area forward. 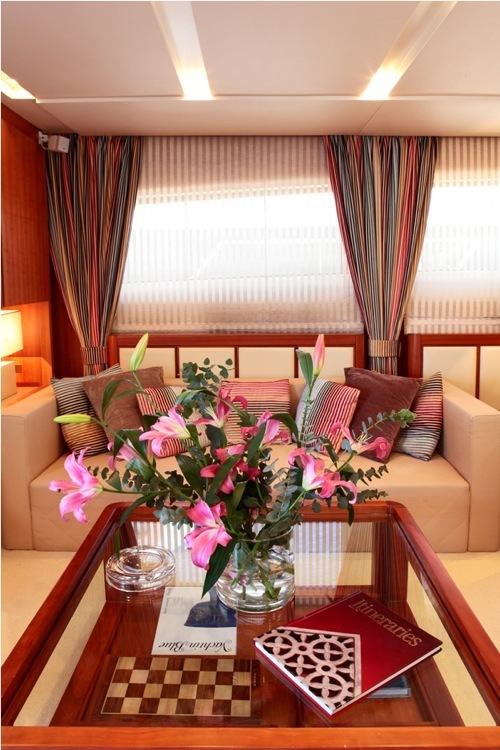 In the lounge, 2 opposing sofas and a glass coffee table give an illusion of exceptional space; a low island crezenda creates a slight separation to the table forward, all the while keeping the atmosphere relaxed. 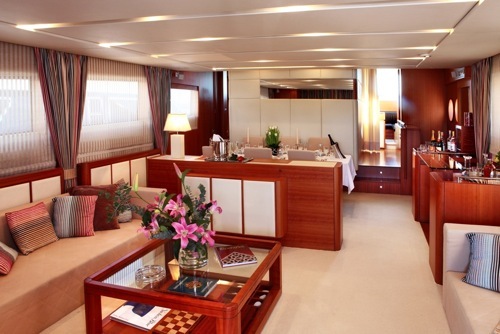 A day head is available in the forward hall leading to the pilot house. 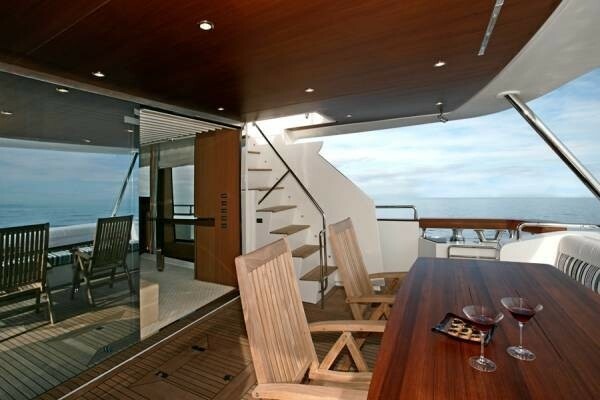 AMON’s design allows guests to enjoy the indoor and the outdoors almost as one. 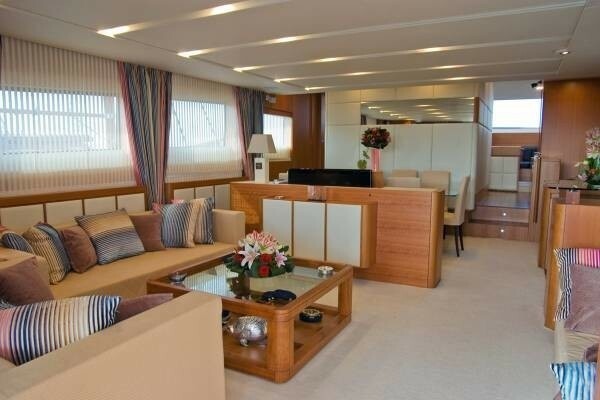 The salon offers large sliding glass doors leading onto a generous shaded aft deck, here guests may like to dine alfresco or simply relax on the almost full beam upholstered seating. 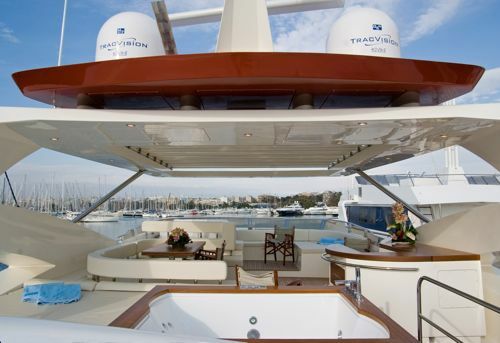 Further aft steps onto the swim platform make ease of access to the water toys and azure blue seas effortless. 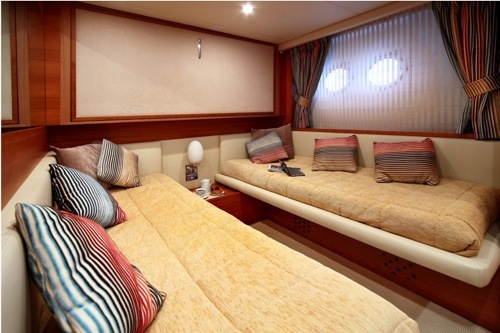 AMON boasts a double sunpad on the foredeck, ideal for couples to steal away for a quiet moment alone. 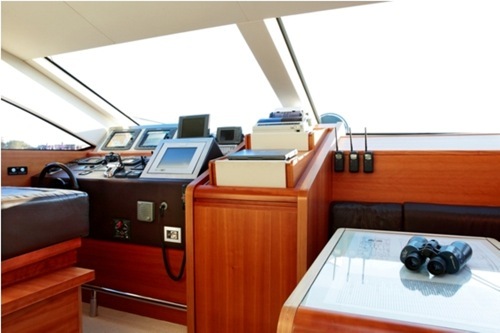 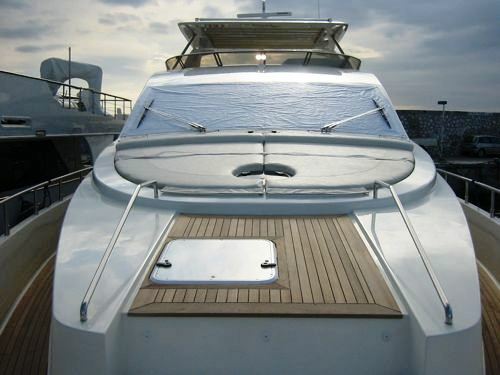 Above the main deck, the AMON has a flybridge designed with entertaining in mind. 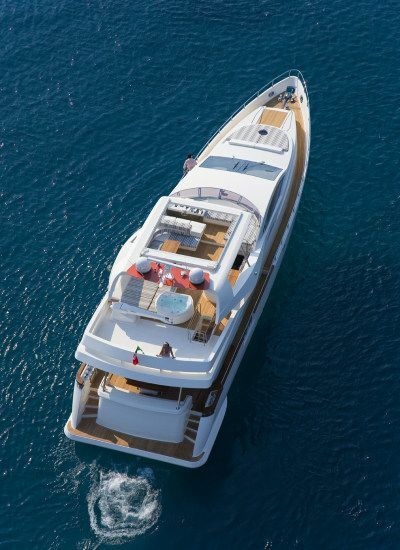 Guests can opt for partial shade with a retractable built in roof, dine alfresco, enjoy the sunpads forward and aft, or take a dip in the Spa Pool tub while sipping a cool cocktail from the wet bar. 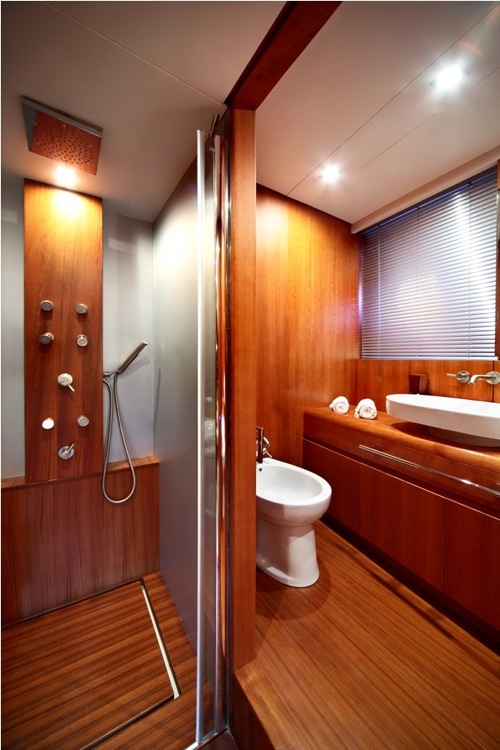 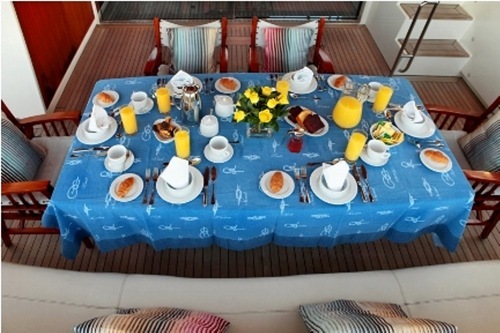 AMON accommodates 12 guests in 5 en-suite cabins on the lower deck, each cabin receives ample natural light thanks to the many port holes and hatches. 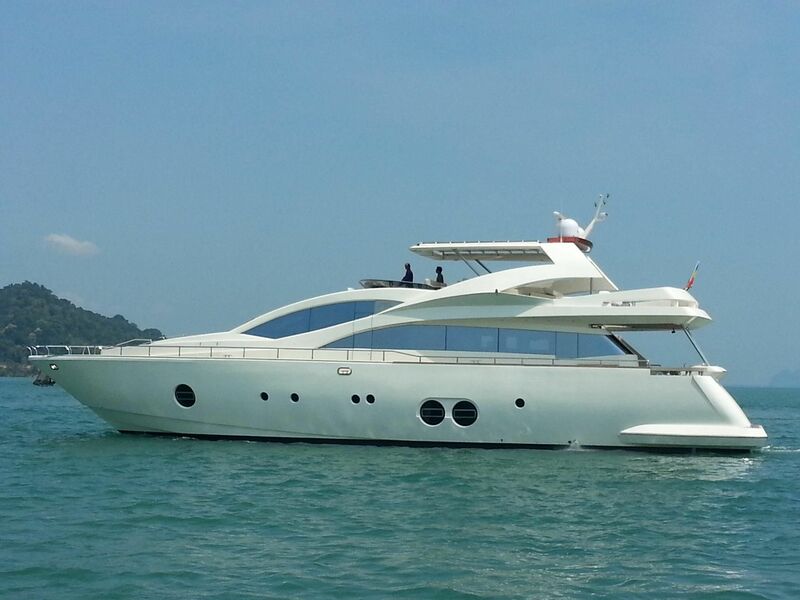 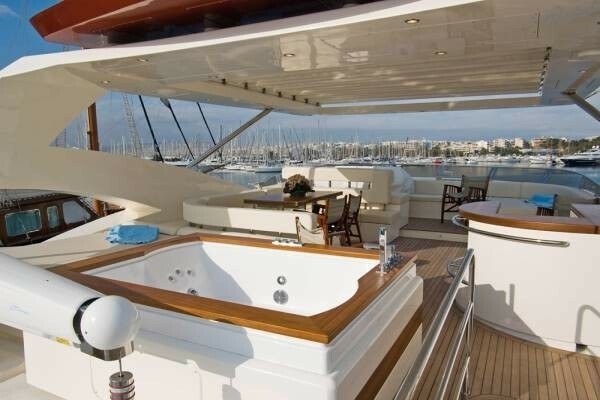 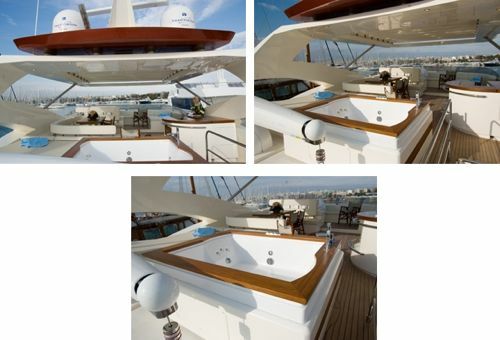 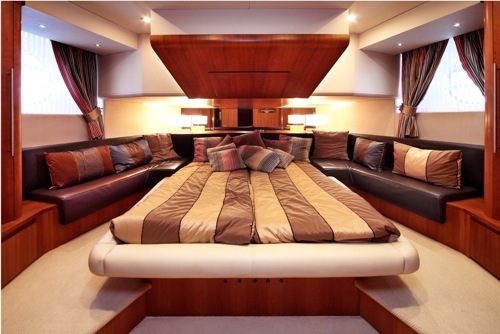 The master suite is full beam of the yacht and forward with a double center lined bed and 2 sofas. 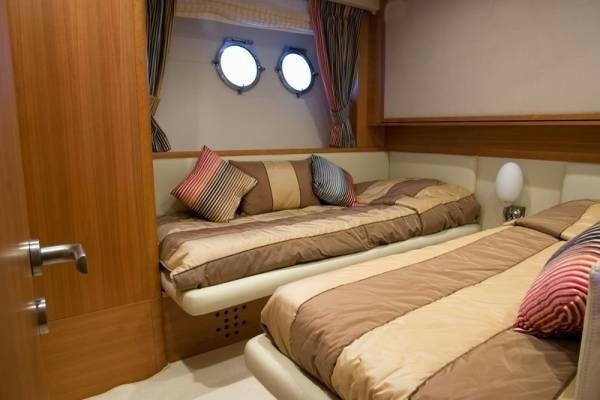 2 double cabins are amidships on port and starboard with a double bed, while a further 2 guest cabins offer twin side by side single beds and a Pullman berth each, ideal for young children. 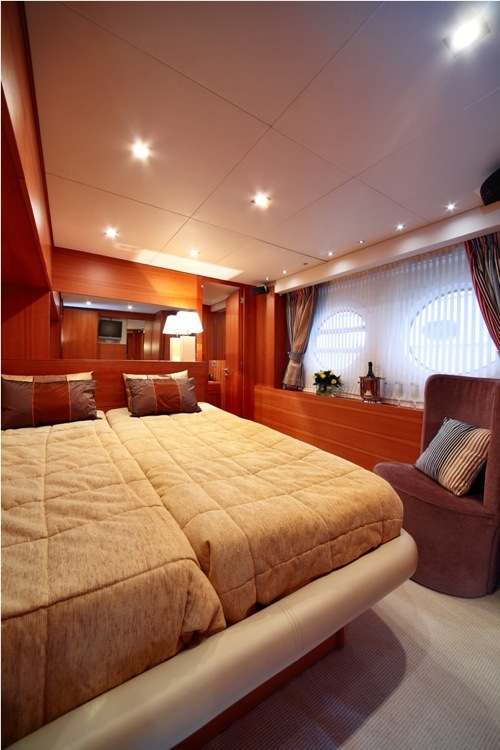 Fine warm wood panels and a neutral décor give a feel of simplicity and sophistication.